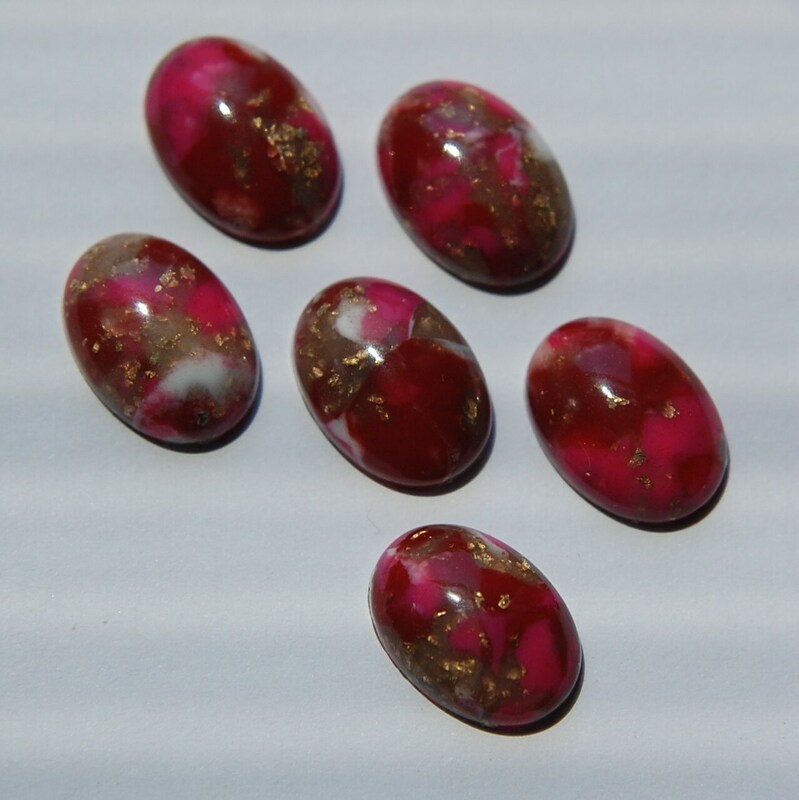 These are vintage acrylic cabochons that were made in Germany. They are a random mix of pink, white and gold. These are domed and measure 14mm x 10mm. You will receive 6 pieces. Came quickly and it is as seen on photo.